To buy a car in Dubai it's necessary to have a residence visa. If planning to make a purchase without a driver's license, it's necessary to go to the police to explain the circumstances and receive approval. Cars in the UAE are slightly cheaper than in the UK or US, and as an added benefit of living in an oil-rich country, expats will find that petrol is inexpensive and maintenance costs are affordable. There are plenty of new and used car dealerships in Dubai, not to mention a host of expats constantly coming and going, creating a large network of private sellers. For expats who have their heart set on buying a new car in Dubai, nearly every make and model one would expect to find in the monstrous car culture of the United States, or any other Western country for that matter, exists within Dubai. Japanese and American brands are especially numerous and are sold at various franchised dealerships - most of which can be found on Sheikh Zayed Road. Popular models do tend to be pricier than those less coveted; but overall, most car dealers can be convinced to give buyers quite a good deal, which often includes one year of insurance and a service warranty period. Dealers may work with a specific bank, and offer help arranging financing. Do be mindful that bouncing cheques in Dubai is a criminal offence, so be sure to arrange financing within a budget. Sometimes, it's possible to get better rates from one's personal bank, so do some research beforehand. The depreciation rate in Dubai can be as high as 30 percent, so if buying a new car don't expect to sell it for anything close to the price of purchase. The high expat turnover in Dubai and the small window of time in which many choose to leave have inspired a large second hand car culture in the emirate. There are plenty of used, or "pre-owned", dealerships in Dubai, and many offer the same sort of service warranty, insurance and help with financing and registration that accompanies new car purchases. These benefits do of course come with a price - usually a premium of around 5,000 to 10,000 DHS. The largest and the most respected dealership is 4x4 Motors. Alternatively, Dubai even has auction houses, like Al Awir, where expats can bid for their buy. A bonus of purchasing a car from an auction house is that all cars will have undergone a vehicle check and it is possible to register the vehicle there. However, on the negative side, there is no warranty included in the price. Expats also have the option of purchasing from a private seller. This is the best way to bag a bargain, especially if the seller has a deadline to exit the emirate. That being said, expats wanting to buy a car from an individual should be knowledgeable about registration and car check-ups. They should also be prepared to bear the burden of managing paperwork and shouldering any additional hassle. 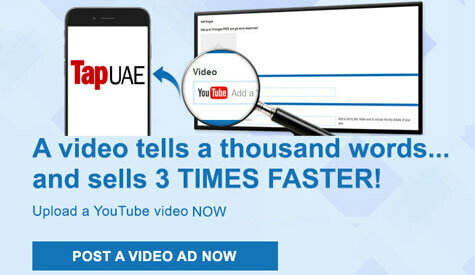 Ads are often posted on supermarket bulletin boards, or can be found on Dubizzle.com or even in the Gulf News and Khaleej Times classified sections.